Where would we be without our many nursing assistants? 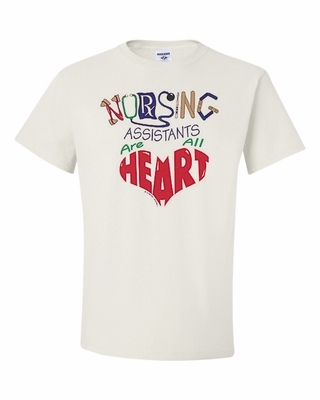 Show they how proud you are of them with our Nursing Assistants are All Heart t-shirts and sweatshirts. Nursing Assistants are All Heart coffee mugs make a great gift, too. Remember� you found the Nursing Assistants are All Heart Shirts at TShirtHub.com, where high quality came at a low price.